Breathtaking views of Cape Arago greet you at the end of the road out of Coos Bay, Oregon. The first European visitors were the Spanish, around 1542 (Native Americans, of course, have known of this scenic headland for eons). Sir Francis Drake stopped by 1579 – in fact he sheltered his ship in the south cove during a storm. 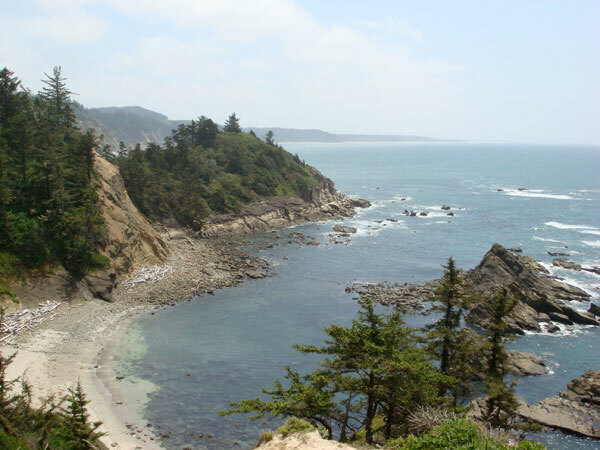 Nearly two hundred years later Captain James Cook visited the Oregon coast on his way to the Sandwich Islands (and his death), assigning names to landmarks such as Cape Foulweather and Cape Perpetua that have endured to this day. On March 12, 1778 he spotted a cape near Coos Bay he dubbed Cape Gregory. That name, did not however stick, and we know it now as Cape Arago.